Normet supports education at Savonia University of Applied Sciences by donating 10 000 euros to Savonia. 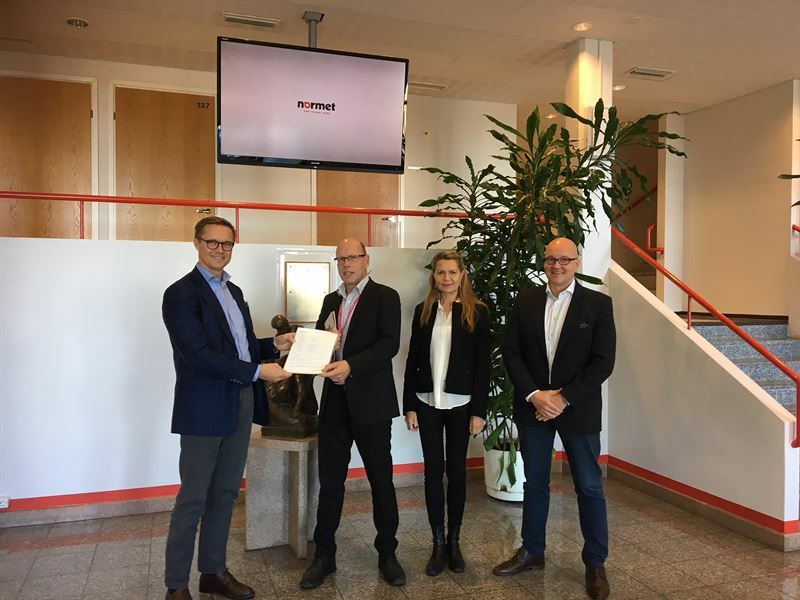 The donation was handed over at Normet factory in Iisalmi, Finland on October 10, 2018 by Normet's CEO robin Lindahl and it was received by Seppo Lyyra, CFO of Savonia. “Savonia University of Applied Sciences is an important partner to us and we want to deepen our cooperation with Savonia further. Savonia has been involved in training of our personnel. In a constantly evolving world, also our business changes and develops. 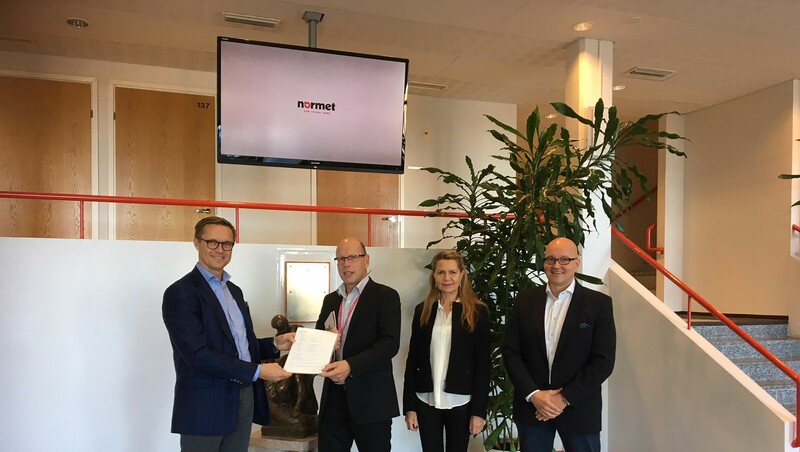 It is therefore important to us to take care of the skills of our personnel and ensure the availability of skilled new personnel”, tells Robin Lindahl, CEO Normet Group. Mervi Vidgrén, the principal of Savonia University of Applied Sciences, is delighted with the donation. She says that engineers graduated from various programs in Savonia are desired experts in the technology industry. Normet is an innovative, fast growing technology company. We are underground experts driven by continuous improvement and care for environment. We offer complete technical solutions increasing our customers’ profitability through improved safety, cost savings and shortened process cycle. Normet has a broad offering for underground mining and tunnelling: equipment, construction chemicals, rock reinforcement products and services. Normet currently employs over 1200 business professionals and the net sales in 2017 was over 250 million Euro. Normet is a Finnish company operating globally with over 50 locations in 30 countries. For more information, visit www.normet.com.